Sarah J. Scott discusses Critical Approaches to Ancient Near Eastern Art edited by Brian A. Brown and Marian H. Feldman. Read the full review at caa.reviews. 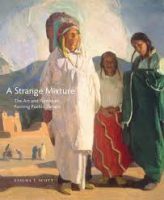 William Truettner reviews A Strange Mixture: The Art and Politics of Painting Pueblo Indians by Sascha T. Scott. Read the full review at caa.reviews. Kathryn Simpson writes on The Face of Medicine: Visualising Medical Masculinities in Late Nineteenth-Century Paris by Mary Hunter. Read the full review at caa.reviews. Fred S. Kleiner discusses Leisure and Luxury in the Age of Nero: The Villas of Oplontis Near Pompeii edited by Elaine K. Gazda and John R. Clarke. Read the full review at caa.reviews. 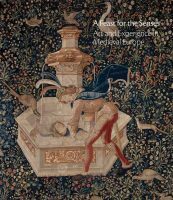 Jennifer P. Kingsley writes about A Feast for the Senses: Art and Experience in Medieval Europe edited by Martina Bagnoli. Read the full review at caa.reviews.